Spark Venture's data business Qrious is set to arm marketers with the knowledge and know-how of how they can tackle their data mountain and incorporate it into marketing strategies with the launch of The Data Strategy Whitepaper. The 23 page Whitepaper acts as a guide, covering what Qrious considers to be everything marketers need to know to understand the concept of data-driven marketing, its benefits and challenges, and how marketers can get started on their own data journey. In the weeks leading up to the launch, Qrious general manager Simon Conroy told StopPress that many marketers understand data is a valuable asset, but levels of sophistication in thinking varied greatly from business to business. Regardless of that sophistication, there is always room for improvement. In its research, Qrious found marketers still have some way to go to really take full advantage of the potential in the mass of information available today, but now The Data Strategy Whitepaper can be the springboard to their success. Part one looks at the role data-driven marketing has with the use of data snapshots, its benefits, where connections need to be made and what’s getting in the way. Findings include how data-driven innovation could easily deliver $4.5 billion in economic value for New Zealand within five years with higher uptake from business and government. Part two focuses on data-driven marketing in action by examining what Skinny, Ateed and Twiddy & Company in North Carolina have achieved from their data-driven marketing. It also includes the five stage data maturing model. Finally, part three looks at implementing data driven-marketing with six steps to harness data, how to start and the future of data driven-marketing. Those six steps include: the business challenge, what data?, readiness for use, managing the data, using the data for business insights and predictive analytics. 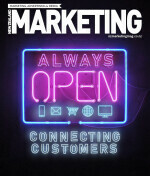 The need to educate marketers about data-driven marketing and how they can use it is particularly timely as the paper finds its worth has increased 35 percent in the last two years and data-driven marketing budgets are rising, with 63 percent of marketers reporting their spending on data-driven marketing and advertising grew over the last year. Other findings include how data-driven marketing can deliver measurably increased ROI when compared to non-data-driven campaigns, and that marketing data and analytics users are 57 percent more effective at increasing their productivity with integrated marketing technologies.